American scientist Virginia Burkett: violent weather threats to coastal energy. Activist Dave Foreman on population & immigration. Sheri Koones “Prefabulous & Almost Off-Grid” green building. Radio Ecoshock 130403 1 hour. DR. VIRGINIA BURKETT: WILL CLIMATE STORMS DAMAGE OUR ENERGY SYSTEM? In this show, leading American scientist Virginia Burkett explains how a more violent climate could damage the fossil fuel infrastructure we currently count on. Dr. Viginia Burkett is the Chief Scientist for Climate and Land Use Change at the U.S. Geological Survey. She has been a lead author in past reports for the Intergovernmental Panel on Climate Change (IPCC). Dr. Burkett is from Louisiana, and was a specialist there in the oil and gas sector. She well remembers the impacts of Hurricane Katrina, and has studied the impacts of that 2005 storm on offshore facilities, coastal lands ripped away, and damage to both ports and refineries. Up to one third of all oil imported into America comes through the Gulf States. When those are knocked out, even pipelines supplying heating oil as far away as New England are threatened. Add in the constant rising seas, and we could see a situation where gas and oil products could be in short supply if climate change brings more violent storms to the Gulf Coast. Burkett expects those storms will arrive again, and more often. Massive amounts of American highways also run near the coast. The damage to the bridged and highways of the Gulf States was extreme after Katrina. That means food and other supplies may not get through. Where, in these days of bankrupt governments, will we find the money to constantly rebuild coastal highway systems, including the interstates? Burkett notes that after Katrina, some freight railway traffic was routed further inland, as far as St. Louis, to avoid the coast. We’ll see more of that – but then what happens to the passenger rail trains near the coast, where about 50% of Americans live? Freight generally helps pay for passenger lines. The dream of using more passenger trains to help save climate emissions may be endangered by rising seas and storm surges from existing climate change. In our interview, we also discuss this document: “Public Review Draft USGS Global Change Science Strategy: A Framework for Understanding and Responding to Climate and Land-Use Change”, U.S. Geological Survey, Reston, Virginia, Open-File Report 2011-1033, 32 p.
Listen to this Radio Ecoshock show right now. Dave Foremen came to public attention in the early 1980’s with his involvement with the Earth First! environmental activist movement. Few people know that Dave worked with more conventional conservation groups in the 1970’s, before he realized that wasn’t working. Dave published “Ecodefense: A Field Guide to Monkeywrenching” – disabling logging and other equipment to save the ancient forests and habitat for wildlife. The introduction is by Edward Abbey. That book is still available online here. The authorities didn’t like that book and that kind of eco-activism. In my opinion, the FBI entrapped him in the early 1990’s, by charging Foreman with handing his book (remember free speech?) to an undercover FBI agent investigating the bombing of a power line in the South West. Dave had nothing to do with the bombing, but got labelled with all that by the media. Some people today still think he’s guilty because of that media smear. Learn more about that case here. 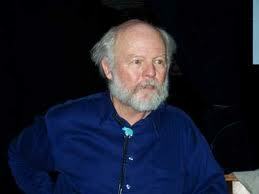 In fact, Dave Foreman went on to become a Director of the Sierra Club. He left that group in 1998 when Sierra Club renounced it’s previous policy of limiting the size of the U.S. population. In our interview, Foreman emphasizes he is a “conservationist” rather than an “environmentalist”. He wants to save room for other species, and does so through his group The Rewilding Institute. Dave Foreman doesn’t hold back. We have a lively conversation which is sure to generate some comments from listeners. Radio Ecoshock is all about local and hand made. So why the heck am I enthused about factory-built homes? It all started with my interview and recorded workshop on the Austraian super low energy “Passivhaus” design with architect Guido Wimmers. Google “radio ecoshock and Guido Wimmers” to find that on our site at ecoshock.org. That will take you to a two part workshop on Passivhaus design. Or listen to my 21 minute interview with Guido here. Guido says in no uncertain terms that we cannot build super tight low energy homes using standard construction on site. They need to be build on jigs, inside, with very strict standards to make everything fit literally seamlessly. It’s a new way of looking at Green construction. Plus, there is less waste in the factory production method. 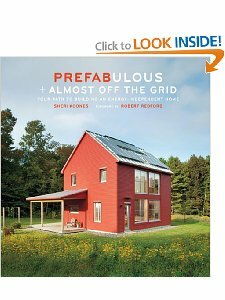 My interest was further stimulated by the new book by Sheri Koones called “Prefabulous and Almost Off the Grid”. Sheri uses photos and text to illustrate leading edge prefab homes across the United States – from New England to the South West. For example, we find out Christine Tod Whitman, former New Jersey Governor and former head of the U.S. Environmental Protection Agency, built a model low-energy pre-fab home. Sheri Koones describes some of the choices Christine made. The home looks like it has been there for 100 years. Robert Redford wrote the foreword to this book. I was also interested to see a prefab go up in Chicago, where the building codes are notoriously difficult to meet. My wife and I are looking into a green-enabled home at a much lower cost from Marlette homes, a subsidiary of Clayton Homes. That is controlled by Warren Buffett. Apparently Buffett decided factory homes are the future of new buiding at low cost, in times of high energy prices. 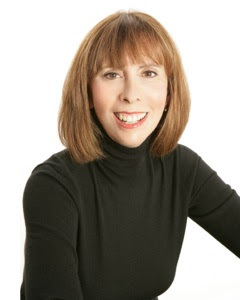 Check out the Sheri Koones interview for insight into all that. Find her blog here. Please remember to support Radio Ecoshock at our web site, ecoshock.org. Tune in next week, and thank you for listening. The establishment of government minders, censorship and a culture of fear in Europe David Foreman is talking about in the 37th minute is to be explained from the economy. Without its arms sales to Islamic regimes the camo-green economy would be bankrupt already. A state aiming at the hostile takeover of opposition and dissent is always at risk of itself being stabbed in the back by someone else, as the old proverb says. There is a small and a big invisible matter in international relations – the Berlin regime is totally in the pockets of the Arab throne, just like the Washington regime. Follow the blood money invested against the Arab Spring and it becomes obvious. The good news is that the American example teaches that atomic phaseout is not the cause of the crisis. Just by sitting between all those oil wells these weapons already have a negative climate footprint yet before they eventually start shooting. Compared to the environmental cost of destructive policies which can continue a little bit longer due to the presence of these weapons, the environmental gain achieved by the decisions of the politicians is as ridiculous as the rainwater-fed toilet in the fire station of yet another runway in the migrant-bird-rich inland river delta at the geographical centre of the subcontinent. In case you like to use your program to drill into this big lie of the camo-green economy I would recommend talking to Jürgen Grässlin (contact via search engine). Consider the high tech aircraft sold to Saudi Arabia by America. First they pointlessly consume massive amounts of energy to produce. Second, they create more emissions in flying (to carry one person perhaps). Third, and most important, they protect the empire of oil even if the rest of the world's population, or the Saudi's themselves, realize this oil leads to extinction. I will see if Mr. Grasslin is available in English. Hi Alex, I feel I should respond to your segment with Dave Foreman on population since you mentioned my criticism regarding the interview with Philip Cafaro, but I don't know that I can get into all the minutiae at this point. Let me just say that I really welcome the discussion about population — I feel it's key — but neither one of these guys convinced me that immigration should be a part of it. You had Paul Ehrlich on, too, not that long ago and I thought he had a much better approach and a genuine global perspective. By comparison, I get the feeling that both later guests would like to retain their North American standard of living (albeit with a more pristine environment), something they seem to think entails the exclusion of immigrants. They don't have the grace of Paul Ehrlich either, both come off dismissive of politically correct concerns– sounds to me like a throwback to an era when white males of that generation had a hard time parting with the privilege they'd been born with. For each country to solve its internal population problem, as Foreman suggests, should also mean that said country should not interfere in other countries affairs, but we know that's not what's happening. (He doesn't seem to account for the role of multinational corporations, or at least it's missing from his analysis of Canadian resource exploitation.) Of course some immigrants to the US/Canada would be using more resources than in their own countries, but they merely plug in to an existing wasteful and extravagant culture, not something of their own creation. Not sure why they should be singled out for something that needs to be fixed also for the hundreds of millions of "native born" Americans. Can all 7 billion people live in single family modular homes and have access to enough arable land? No. To make this many modular homes, how many appliances, billions of gallons of Dow sealant, and massive amounts of concrete would we need to manufacture? It seems like pollution, loss of biodiversity, and climate change would be much worse if we all (or even many of us) followed this advice. This is the type of delusional thinking, that seeks to keep our high consumption lives going. Also, if many people left cities to live on 2 acres of land with a house, we would destroy most of what's remaining in nature. Maybe we should look at how we lived before the industrial revolution, and try those ideas. Like longhouses in the northeast. Or cob and thatch homes. I think building single family homes at all is completely insane. As an unrelated comment, do not enter the number in the "type the two words" below. It's google trying to get you to confirm street addresses on houses. Just enter the word.